Jack Butala: Hey there. This is Jack Butala for Land Academy. Welcome to our cash flow for land show. 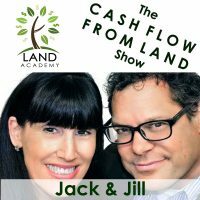 In this episode, Jill and I discuss how to get over your first deal jitters. We’ve all been there, and our job at Land Academy is to help our members get past the little road blocks that could potentially delay financial success. Hi Jill. Jill DeWit: Hi, how are you? Jack Butala: Good, good. It’s early in the morning, how are really? Jill DeWit: Oh, really? No, just kidding. No, I’m great. I had my couple cups of coffee. I’m officially, I can honestly say I am a caffeine addict. Seriously. You know when you’re at that point where if I stop having coffee, it’s going to be not a good morning. I already know it. I have to have a couple cups of coffee. Jack Butala: I just wrote that down as a title for a new show. Caffeine addict. Jill DeWit: Jill’s a caffeine addict. Jack Butala: I know what my first Jill jitters were way back when. What were yours? I’d love to hear what yours are, and in the name of [inaudible 00:01:01]. Hit the ground running, before you start so to speak. Jill DeWit: I think it’s different for people. It might be the first transaction. It might be buying it. It might even be answering the telephone. Because I’ve even heard that from some of our members. Remember when we were first getting rolling, and we put the eBook out before we had the program. People were testing the eBook theory. They were commenting with us, oh my gosh this works. I’m like I don’t know what to tell these people. Jack Butala: I’m going to interrupt you just a second, and explain to everybody what’s in our eBook. Right in the beginning of the book, I asked everyone to go through a free and simple, quick exercise where you post a want ad on the local area Craig’s List. That says, hey, we have cash for unwanted vacant rural property. We’re not willing to pay a ton of money. We’re willing to pay a very small amount of money. If you just want to get rid of it, contact us here. It’s a little exercise that’s free and quick, with a tremendous about of success by the way. Jill DeWit: That’s what was so great. It was funny. I still get those now and then. People that are new and have just found, it works. Now what do I do kind of thing. Which those emails crack me up. I’m like, yeah. It does work. You’d be surprised how many people wanting to unload land. Some of the jitters people were having was, I don’t know what to say to these people. How do I handle this transaction. What do I do when they call back? What do I ask them? What do I want to know about the property. That’s stuff we all teach now in the big, formal way. Our whole Land Academy Cash Flow from Land Program. You can have jitters just answering the phone. I know our show today is how to get past those jitters. My best advice is, well, a if you can listen to somebody that gives you a little bit of an insight. Have a little bit of an edge. Jack Butala: Yeah. Kind of mentor. Jill DeWit: Right. Which we also do. Jack Butala: Which is us. Which is this podcast. Jill DeWit: Part of the podcast, this is true. Jill DeWit: All we’re doing on this podcast is thinking of 8 more podcasts, because one of the things I think would be really beneficial which down the road maybe I should do. In our program, we have some phone calls from me, talking to these people so you really can hear that. That might be a really good thing that we could on the podcast to is share one of my phone calls, so you know how it goes. When people call me up, and say I want to sell you my land. You need to know what to ask them. What’s important. Details. Jack Butala: Just for pure entertainment value, those calls are really interesting. Jack Butala: Everybody’s coming from a slightly different direction, when they’re ready to sell your land that’s under valued way. It’s really interesting to hear how you’re great at this, and I’m not so good at it. How you just kind of sue them and hold their hand. Say, we’re going to make it real easy for you. Jack Butala: Because we’ve done it 15,000 times before. Jill DeWit: It’s true, and I can help. Jack Butala: That’s a jitter. What are a couple other jitters? You know, answering the phone. Jill DeWit: Yeah. Can I give my follow-up to how to get passed it? Jill DeWit: You just have to remind yourself. We were all there once. You just have to answer the phone. Jack Butala: You shouldn’t stare at your phone screen and go, hmm, I’ve never heard this area code before. I wonder if it’s my … bill collector. My dad’s in a different state. Jill DeWit: People do this though, Steven. Jack Butala: I do that. That’s why I’m bringing it up. I stare at my phone, and go I don’t think I should answer this. Jill DeWit: I know you do that. Answer the phone. How about this, if you want to buy anything or you want to sell something, you might need to answer the phone. How is that? Jack Butala: You’re so consistent about that. I think it’s great. The most complicated problems are sometimes just solved by super simple stuff. Jill DeWit: I think a lot of problems, you’re hitting the nail on the head. Thank you. Maybe that should be the jist of the podcast, which is the bottom line is, don’t make it more difficult than it needs to be. Answer the phone. You could even say things like, what can you tell me about the property? Make it an open-ended question. Let them tell you everything. As you’re talking they’re going to go, now I know the size. Now I know this, now I know that. They’re going to help you through the conversation. Another thing, think of them like a family member. Don’t think of them like they’re the president of a company or something big. That might be intimidating. Whatever’s intimidating to you. Don’t think of them like that. Just think of them as another person on the end of the phone. They want to sell something and I want to buy it. It’s easy as that. Hopefully the jitters will go away. 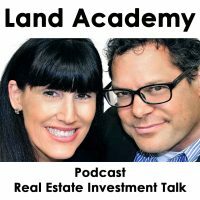 Jack Butala: Here’s the truth about the real estate deals that we do, week in and week out, and all of our members do. They are the most simple type of real estate transaction that there ever was. A person, and I’ll line it up very briefly against a regular buying a house let’s say, which most people are familiar with. We find a willing seller. We are obviously a willing buyer at the right price. We get together on a price, we agree on it. We send a bunch of documents to a notary. We hire a notary, all over the internet. Notary goes to their door. Knocks on their door. Hands them a cashier’s check. They sign over the documents, the deed and stuff. The notary sends us back the stuff. Jill DeWit: Oh gosh, you make it sound so easy. Jack Butala: It is that easy. What could go wrong? That’s why I wanted to have this show. It’s as simple as that. Line that up against buying a house. There’s a lender involved, there’s a appraiser involved. There’s an inspector involved. There’s an escrow agent. There’s 2 real estate agents. If you’re lucky, there’s only 2 real estate’s, 1 on your side. 1 on the other side. They make you sign a thing that says, if you don’t best represent you, and there’s an inch thick of documents you have to sign. Including the loan. You got to call an insurance company, and on and on and on. Jill DeWit: Yeah. There’s a title company. It all sounds like they all want to squash the deal, because they want more stuff. Jack Butala: Yeah. I’m not exaggerating when I say this, buying a piece of property the way that we do it is easier than titling your car at the motor vehicles department in your state. Jack Butala: You don’t have to wait in line. You can do it right from your desk. There’s nobody to call, except an escrow agent and the person that you’ve made friends with, who’s a seller. Jack Butala: That being said, I still even have a few jitters. Jill DeWit: I have something funny about this. I remember when I first started, and first getting comfortable talking with people. Then when people would call me with like 40 acres, or bigger acre properties. I remember that was a little bit, it could be intimidating. Now, it’s like, hi I’m calling. I have 256 acres, and … All right. Jack Butala: I don’t want it. Jill DeWit: No thank you. I’m all ready to hand it to you. Jack Butala: Isn’t that ironic. Larger acreage property for us, is not as profitable for like 5, 10, 12 acre properties. Jack Butala: Yeah. Tiny little properties that are on a lake or something. Jill DeWit: Right. It is kind of funny. Jack Butala: I didn’t seek that out. It ended up being the way it is. Jill DeWit: It’s true. Not just the phone call part of it. What you just talked about is the whole transferring the property. Okay, now I’ve got a deal. Now you’re talking about jitters to completing the transaction. Jack Butala: This is one of my initial jitters, go ahead. Jack Butala: That actual paperwork piece of this. Jack Butala: Mm-hmm (affirmative). This is in the 90s, but I’m over it now. Jill DeWit: Can I ask you a question? Jack Butala: It scares me a little even now, but go ahead. Jill DeWit: Okay, well wait a minute. Jack Butala: I’m just kidding. I’m completely joking. Jill DeWit: Way back when, you were sitting at your coffee table with your checkbook and a job that you didn’t love we all know. Jill DeWit: If you’ve not read the eBook. Jack Butala: Couldn’t get the answers to anything. Jack Butala: Before Google really. Jill DeWit: Right. You found this property on Ebay. This was when you were just kind of thinking, could I make a business out of this? No matter what, I want to buy this property. Was it scary for you buying the property? Jack Butala: You know, I was not concerned about writing a check. I was not concerned about doubling my money. The economics piece of it, no. That has never been, and it is not now a jitter for me. I think some people are concerned about writing a 5,000 check, wondering if they’re going to get 10. Jill DeWit: Is it because you did your homework? Jack Butala: I’m glad you’re bringing this up. You know, I think it’s partially homework. I think partially it’s just a personality type. Jack Butala: That would concern me. Jill DeWit: Okay, maybe a classic car’s not the best example. Okay. A Rolex watch, or something. Jack Butala: Maybe I should let you ask the question, before I answer it. Jill DeWit: Okay, thank you. My thing is, is it so scary when if you do your homework. Say you know it’s, I’ll go back to the classic car. Say you’re an expert, no, you’re a non-expert. You want to be an expert on classic cars. There’s multiple ways out there to value cars. You can go to 18,000 websites I’m sure. From Ebay to professional sites. I’m sure they exist. About classic cars. You know that at bare minimum, in this condition, this car is worth 50,000. I don’t know what it is? A little old lady found it in her garage, and she’s selling it for 10,000. She’s going to move. Who knows what’s going on. Jill DeWit: She likes you. She’s your next door neighbor. Her husband had this car. It’s in cherry condition. She just wants to get rid of it. She’s going to give it to you to 10,000. Would you be scary? Would you be scared? Jack Butala: Well, I would do research, just like you suggested. You said, rock bottom. Rock bottom, if everything goes wrong, this car is worth 50 grand. This is what I would do. This is very similar to a land deal that we do. Jill DeWit: That’s what I’m thinking. I just thought of this, by the way. Jack Butala: Let’s leave the lady next door out of it. Let’s say somebody calls me that I have a whatever, 65 sting ray. It’s worth 50 grand rock bottom, and sell it to you for 10. Jill DeWit: They don’t even know it’s worth that right away, that’s the thing too. Jack Butala: What I would do, and this is what we do with the land. If it’s rock bottom worth 50, I would buy it for 10 and sell it for 25. I would do that like all within 3 days. Which is exactly what we do with this land. Jill DeWit: Here’s my question, is it scary? Jack Butala: That’s not scary. Those numbers are not scary. Jill DeWit: That just proved my point. Jack Butala: That’s what we teach at Land Academy. Jack Butala: What would be scary is buying it for 50,000 and trying to sell it for 60. Buying it for 40,000, and trying to sell it for 50. Jill DeWit: Because it’s the certain color scheme, or it’s this. It’s something unique that you think is worth more, but it’s not. Jack Butala: Jill, this is a great way to come up to, in a round about way describe our business model. We’re buying it so cheap, because it’s so unwanted. We’re doubling our money, and even then it’s not close to the lowest price comparable value. Jill DeWit: What’s to be jittery about? Jack Butala: That was the first deal I bought was either 40 or 80 acres. I can’t remember, it’s in the eBook in the program. I think it was 40. It doesn’t matter. I know I more than doubled my money on Ebay. I bought it on Ebay, and sold it on Ebay. I spent the rest of my life, including today trying to find properties we can do that with. Which we’ve mastered through direct mail. Jack Butala: Okay, back to this old lady. If this was a real deal. Jack Butala: Rock bottom price, 50,000 for a car. Husband died or whatever. Jill DeWit: She doesn’t even care. She doesn’t need the money. Jack Butala: I would go to this lady and say, little old lady, you’re the most wonderful next door neighbor I could ever hope to have. What I want to do is I’m going to sell this car. I’m not going to sell it over night, for 20,000 like I would if I just paid you 10. I’m going to option it. We’re going to take 6 months together, and we’re really going to make a ton of money. I’m going to make the 10,000 that I would anyway if I sold it for 10. You can have all the rest. Jill DeWit: Did this just turn into a charity event? That’s really not [crosstalk 00:13:38]. Jack Butala: I like little old lady. What’s her name? Jill DeWit: This is called want to live next door to Steven. Jack Butala: What’s the lady’s name and what does she look like? Tell us, Jill. Jill DeWit: Her name is Betty. Jack Butala: How tall is she? Jill DeWit: She’s very small. Jack Butala: Does she have slick back hair, like some old ladies? Jack Butala: Does she have a wig, or what? Jill DeWit: No. She’s very small, very petite. She’s just very nice, and she always brings you cookies at Christmas time. Jack Butala: Oh gee, I’m not going to take a dollar from her. Not a dollar. Jill DeWit: Okay. This is not at all about what we’re talking about now. What do you think she looks like? Jack Butala: I think that painted a good picture. Jill DeWit: That’s hilarious. I guess the point is, we’ve all been there. Jack Butala: I mean, we’re kidding a lot here. What I see from success plan in our members is that once they get over whatever jitter they have. They get that first deal done, where they buy it, they sell it. Didn’t we have a member that his wife wasn’t convinced. Just to convince her, he bought a piece a property, and he sold it really fast. Made like 6 or 700 dollars on it. Just to get her on board. Then she did. Now they’re going to the moon with it.